CoLab Radio » Blog Archive » Where does the time go? My grandmother, born in 1886 near Atlanta, Georgia, used to say to me, “the hurrier I go the behinder I get”. How true! As I have progressed through my formative years – graduate school and professional life, now a second career – I have come to appreciate, first hand, my grandmother’s statement. It now has a rich contextual meaning that it did not when I first heard it as a teenager. A philosophy professor of mine once said, “Wisdom can never be taught. It must be lived”. There is some truth in his statement. However, I am still not so sure that we cannot learn practical wisdom across generations. I sure hope that we can and will. If we cannot, and will not, the costs to ourselves, our society, our planet will be immeasurable. I recently read a reflection by a young woman, Brigitte, who quoted her nine year old son: “the key to speed is not to hurry”. Brigitte urges me (us) to be ‘mindful’ of societal ‘brainwashing’ that has the effect of compelling me, pushing us, to increase the speed of life at nearly any cost. 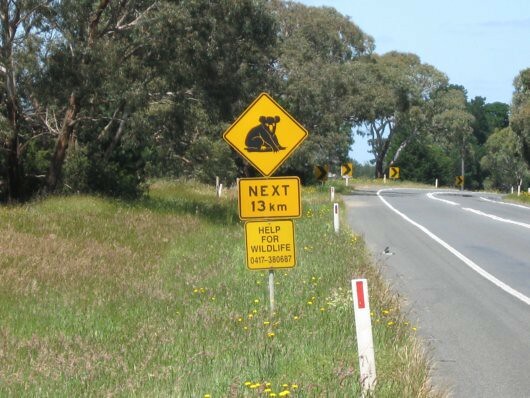 Koala Crossing sign on the road between Geelong and Lorne in Australia, by Dave Cooper. Brigitte’s entry and my recent experiences with a very special presencing gathering in Yarrambat, Australia, have caused me to slow down, to pause, and to listen. Presencing, a blend of the words presence and sensing, refers to the ability to sense and bring into the present one’s highest future potential — as an individual and as a group (from Presencing Institute). 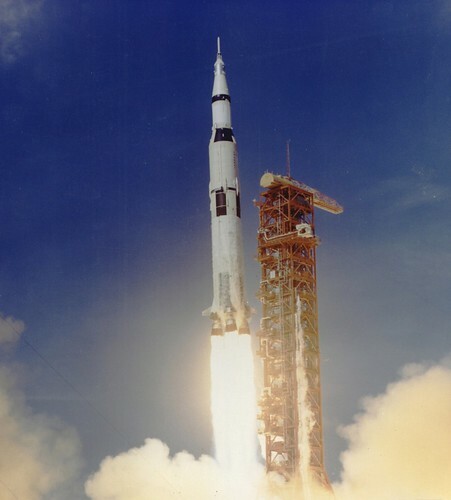 Apollo 11 is the mission that first landed a person on the moon, July 20, 1969. Times are changing. Our journeys through these times, and the ways we respond, individually and collectively, yield both good and the not so good. My grandmother lived through the times of horse and buggies, the advent of the automobile, heavier than air flight, and a person walking on the moon. From our home in Florida, we watched the Saturn Five, Apollo lunar missions that were initiated by President John F. Kennedy in the early 1960’s. These late 19th and 20th century discoveries and the amazing changes they initiated have yielded much. Yet, I can’t begin to imagine what my grandmother must have experienced as the speed of life around her increased exponentially: what a blur. We are witnessing similar exponential change in the 21st century. I remember a marketing phrase from the early 1970’s. I think it was IBM that coined it: The “new” computer will increase productivity so much that workers will have three day weekends. The reciprocal has proven to be true. In the U.S., we do much more work and have far less time in which to slow down, to pause: where is that three day weekend? The goal of creating increased leisure time in order to spend some of it with family, friends, and in our communities is embedded in the computerization marketing message of the 1970’s. Of course, in America, increased leisure (quality) time has not been realized. Over the past thirty or so years, we have experienced the financial necessity of multiple wage earners in our families. We work longer hours so we can consume more stuff at a faster pace, then rush home to hurriedly finish our day so we can slow down. Having returned from a wonderful time in Australia, and taking time to reflect upon the wisdom imparted to me by friends, former strangers (now friends), and family, I have slowed my pace. I pause. I listen attentively. I am present and sensing. Even with multiple competing demands, I make time for conversation. I enjoy a coffee or tea at a café. I give my family members an extra hug. I correspond with people in my communities, both near and far. I am actively and passively participating in presencing for the well-being (or shalom) of one another, our communities, and our planet. 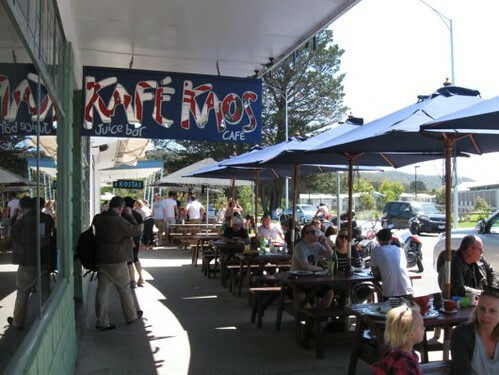 Kafe Kaos in the seaside village of Lorne in Australia, by Dave Cooper. The Hebrew word for whole-community well-being is shalom. While shalom encompasses much more than can be translated into English, shalom is manifested when there is shared power, equity and mutual beneficence among physical, social, economic, political and spiritual organizations, institutions, and systems. Shalom is not simply a transcendent hope; rather, it is a concrete, tangible, proactive, wise, investment of all resources (including time) to work in concert for the common good. I am deeply engaged with shalom-making in communities across the United States and abroad. I facilitate, train, coach, support, and advocate for shalom-makers as an independent consultant and via the Drew University Shalom Initiative. I apply Asset Based Community Development and community organizing principles and techniques to help communities develop and achieve their own outcomes. Shalom-making is not easy and not for the timid. It is an emergent, locally-led, co-creating, bold, sustained, and collaborative endeavor for the healthy and whole transformation of the communities in which we live, work, learn, and play. I am a shalom-maker: enlarging the circle of community for the common good. Post by N. David Cooper, MDiv, MSW, CPM. This post also appears on http://www.shalommakers.com.